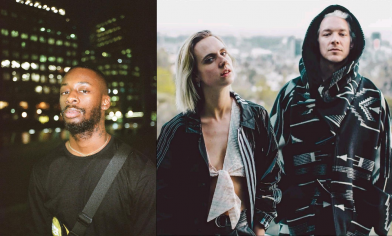 Global superstar DIPLO unveils a new remix of ‘Get It Right’, featuring MØ, with a verse from Goldlink today – listen below. Diplo, MØ and Goldlink will perform the track on The Tonight Show starring Jimmy Fallon February 6. Kylie’s new video for her single ‘Dancing’ somehow re-imagines Ms Minogue in collaboration with Dolly Parton on the set of “The Day of the Dead” – with a depiction of a 1970’s Nashville motel room thrown into the mix. Grammy Award-winning singer and songwriter Miguel has been nominated for his first Oscar for Best Original Song at the 90th Academy Awards for “Remember Me”. 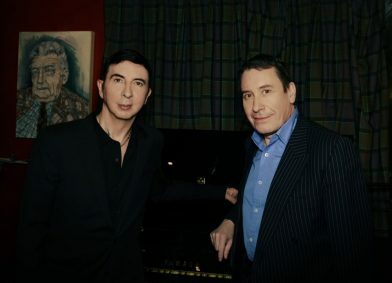 Musical master of ceremonies Jools Hollandand his acclaimed Rhythm & Blues Orchestrahave announced their annual musical excursion around the UK and Ireland for 2018. Tickets go on general sale on Friday 2 February at 10am. 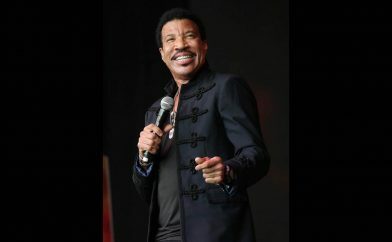 Lionel Richie has been added to the line-up for Hampton Court Palace Festival 2018 supported by Viking, award-winning cruise line. These are Lionel’s only London shows of 2018. Tickets for the Lionel Richie concerts will go on sale at 10am on Friday 2 February. 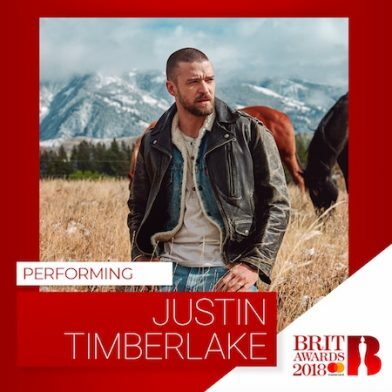 The BRIT Awards 2018 with Mastercard today announce that multi-million selling superstar and three-time BRIT winner Justin Timberlake will perform live on the show on Wednesday 21st February at The O2 Arena, London. 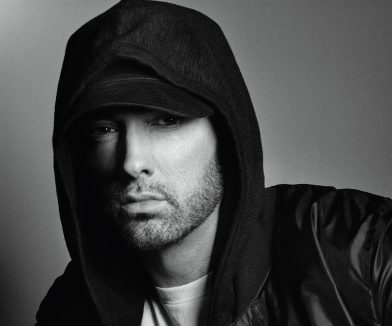 topping album Revival, fifteen-time Grammy award winner, MTV EMA Best Hip-Hop recipient and biggest selling rapper of all time, Eminem has today announced his Revival Tour will hit London’s Twickenham Stadium in summer. Paloma Faith will be headlining Newmarket Nights on Friday 22nd June. With her acclaimed Number 1 album ‘The Architect’ riding high in the charts and a BRIT nomination for Best British Female, Paloma Faith will be bringing hits old and new to the course for a stunning headline performance. 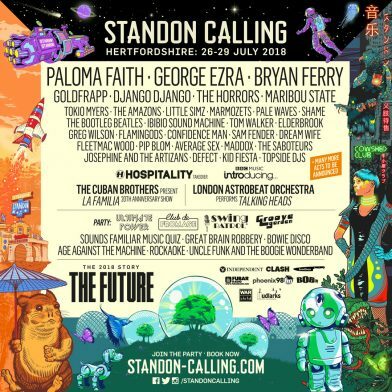 A go-to destination for the ultimate festival weekend of music, arts and entertainment for all the family -Standon Calling is set for its biggest year to date, with two of British music’s most adored modern favourites George Ezra andPaloma Faith leading the way as the final two headliners this July. 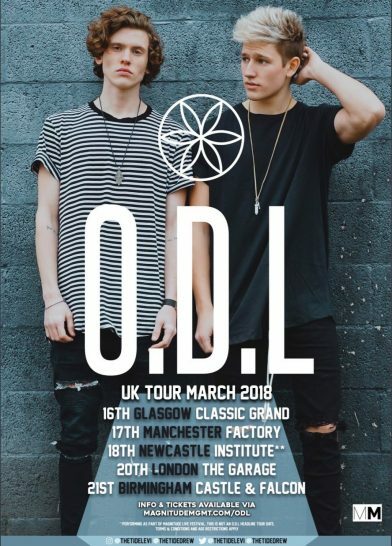 Event: O.D.L (Our Dysfunctional Life) live tour coming to the UK this March! American EDM-Pop duo O.D.L are heading to the UK this March for five exclusive shows. Featuring Drew Dirksen and Levi Jones, who previously enjoyed success as part of pop-rock band The Tide, touring over 20 different countries during 3 world tours, playing in many sold out arenas.